Unlike nocturnal animals, we have poor night vision. However, our pupils will adjust to dark conditions by dilating to allow more light into the eyes. For the most part, it isn’t the darkness that makes night driving so difficult because headlights illuminate the road ahead, and seeing the lights of other vehicles is easy. The main problem is the distracting and often blinding effects of glare from road lamps and traffic headlights. The light scattering effects of the windshield glass creates still more glare. 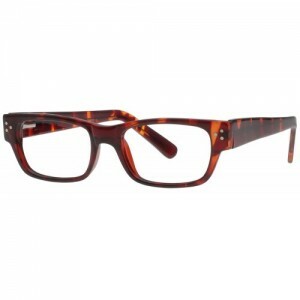 Eyewear adds yet another source of light scattering. Using high index lenses in your eyewear without an anti-reflective (AR) coating substantially worsens the problem to the point where night driving isn’t safe. If you intend to purchase high index lenses, it’s highly recommended that you include an AR coating. Why this is important for glare reduction is explained next. High index lenses bend light at a sharper angle than ordinary lenses. This means that high index lenses can focus light with less material, and is one reason why they are so thin, yet can do the same job as thick lenses made of ordinary glass or standard plastic. However, a higher index material tends to reflect more light. It is this increased reflectivity that causes glare problems. Higher reflectivity means that more external light from above and behind you reflects off the inside surface of your glasses and into your eyes. The reflections from cars passing you from behind, interfere with the road scene in front of you. Another problem with increased reflectivity, is that light can bounce around within the lens material before it reaches your eyes. This causes glare and halo patterns. It is why windshields and eyewear lenses produce this effect and why high index lenses are especially prone to this problem. However, an anti-reflective coating eliminates the reflectivity problem and therefore most of the glare. After resolving this difficulty with an AR coating, you can focus your efforts on eliminating other sources of glare. Eyewear tint. If you wear sunglasses or transition lenses that retain a residual tint at night, this reduces the amount of light that reaches your eyes. When this happens, your pupils expand more than they have to, which reduces optical clarity. This causes the perception of rings and halos around light sources. Use clear lenses for your night driving. Dirty eyewear lenses. Grime buildup, smudges, and clinging dust on your lenses scatter light on its way to your eyes. This produces glare. Keep both the outer and inner lens surfaces clean. Lens scratches. Lens scratches scatter light and produce dangerous nighttime glare. 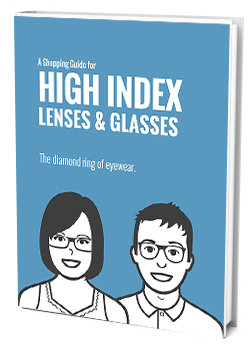 Take good care of your high index lenses by keeping your glasses in their case whenever you’re not using them. Resist the temptation to set them down or place in your pocket. Clean your lenses properly by never wiping them when dry, avoiding cleaners, avoiding tissues, and avoiding paper towels. Clean them with warm water, hand soap, and a microfiber cloth. Your windshield. Like a dirty lens, a dirty windshield also scatters light as it passes through. Keep both the outside and inside surfaces clean. Even if you don’t normally touch your windshield inside surface, the plastic within your car emits vapors that slowly build up a grime layer on the windshield. Your wipers. Old and stiff wipers streak in the rain. These streaks also scatter light and produce glare. Finally, don’t look at the headlights of oncoming traffic. Instead, look at the white line on the right side of your lane. Use this as a visual reference to keep your car properly positioned. Use your peripheral vision to keep track of the passing vehicle in front. By following the above suggestions, and especially using an AR lens coating, glare will no longer compromise your night driving safety while using high index lenses. If you have any questions, contact us.